Greater consumer choice and a stronger Australian financial services industry will flow from proposed reforms to make it easier for customers to access their data, a major policy roundtable has heard. 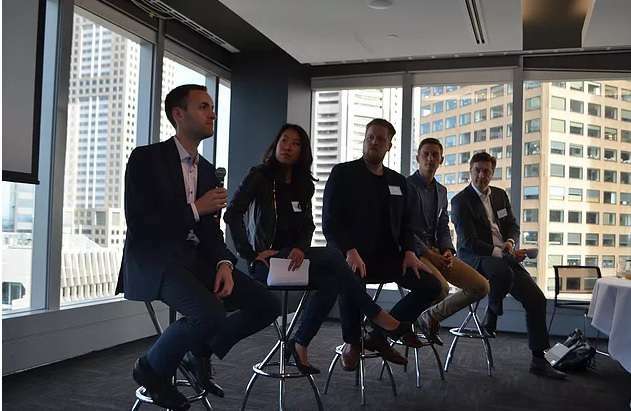 More than 30 people attended the Open Data Roundtable, which was hosted by the Victorian Government in conjunction with FinTech Australia and FinTech Victoria in Melbourne on 15 February. The roundtable allowed senior representatives from government and industry to discuss – in a “Chatham House rules”-type session – the key policy and operational issues relating to the current debate over opening-up financial data. Attendees included representatives from the Australian Securities and Investments Commission (ASIC), Australian Federal Treasury, local and international banks, fintech companies, superannuation funds and insurance and legal firms. The Productivity Commission has been holding a public inquiry into the benefits and costs of making public and private datasets more available, including examining options for the collection, sharing and release of data. A final report is expected in March. The Commission’s draft report issued in November last year proposed the creation of a comprehensive right to data. This would give people the right to seamlessly access their data, say from their bank account, and direct that it be sent to another party, such as an innovative fintech firm or insurance company. Existing financial institutions have much to gain from creating APIs to share customer data, including the ability to collaborate with innovative companies to test new solutions more quickly and also to improve understanding of their customers’ behaviour. “The world of finance is changing rapidly, with an amazing world of choice awaiting consumers in fintech areas such as automated online financial advice, tailored personal and small business lending and micro-amount deposits and payments. “We need ongoing industry engagement to co-design workable standards and governance for the development of safe and easy-to-use online solutions to allow consumers and third-party companies they authorise to seamlessly access their data. Ross Sharrott, Founder and Chief Technology Officer of Moneytree (a fintech company which was founded in Japan in 2012), provided the roundtable with an overview of the open data landscape in Japan. He said banks and customers in Japan were keen to use the company’s technology to create new consumer experiences – including being able to better visualise and understand their financial situation – and to improve existing products. “Consumers don’t say ‘I want to be a custodian of my data’, they instead say things like ‘I want to do my tax return and want it to be automatically populated with my financial information so I don’t have to do it,” he said. FinTech Victoria interim CEO Alan Tsen thanked the Victorian Government for its leadership in hosting the forum. “The Victorian Government clearly understands the potential economic and consumer benefits from liberating our financial services data and therefore should be congratulated for taking the lead on this event,” he said. ASIC oversees and accredit third-party companies who access customers’ financial data, to provide important security safeguards and customer peace-of-mind. The two FinTech Australia submissions to the Productivity Commission are available here and here.